STATE COLLEGE, PA (WTAJ) - The wait - and maybe the drama - is finally over. According to ESPN and a social media post by Antonio Brown, the Steelers are sending the wide receiver to the Raiders. ESPN's Adam Schefter provides some details on the trade. There is a verbal agreement for Antonio Brown to be traded to the Oakland Raiders, per source. Raiders are adding money to Antonio Brown’s deal: He now will have three years worth $50.125 million - with incentives to go to $54.125 million, per source. Where there was no guaranteed money there’s now $30.125 million guaranteed, per source. Raiders are trading a third- and a fifth-round pick to the Steelers for WR Antonio Brown, per source. In the end, Antonio Brown converted the Steelers four-year extension at $17 million per year into what is now amounting to $19.8 million per year in new money. 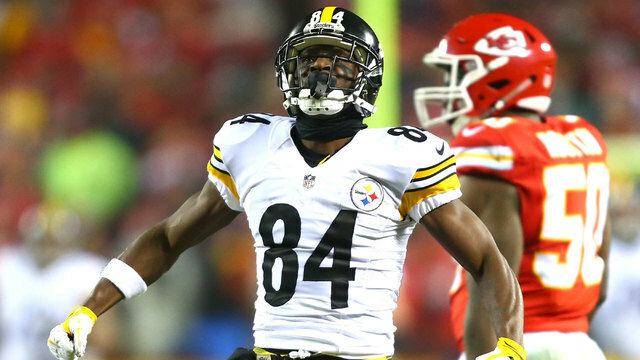 Antonio Brown has a new home and new money. The NFL Network's Ian Rapaport reports Brown will be the NFL's highest paid wide receiver. The Antonio Brown saga is finally nearing a close. Sources say the #Steelers are dealing AB to the #Raiders in exchange for a third round pick and a fifth round pick in this 2019 draft. Brown will also get a reworked contract that makes him the NFL’s highest paid WR. Two years ago, the #Steelers gave Antonio Brown a deal worth $17M per year. This new deal takes that and turns it into a deal worth $19.8M per year. Essentially AB took the remaining $38.925M over the next 3 years and turned it into $50.125M... plus $4M incentives to $54.125M.